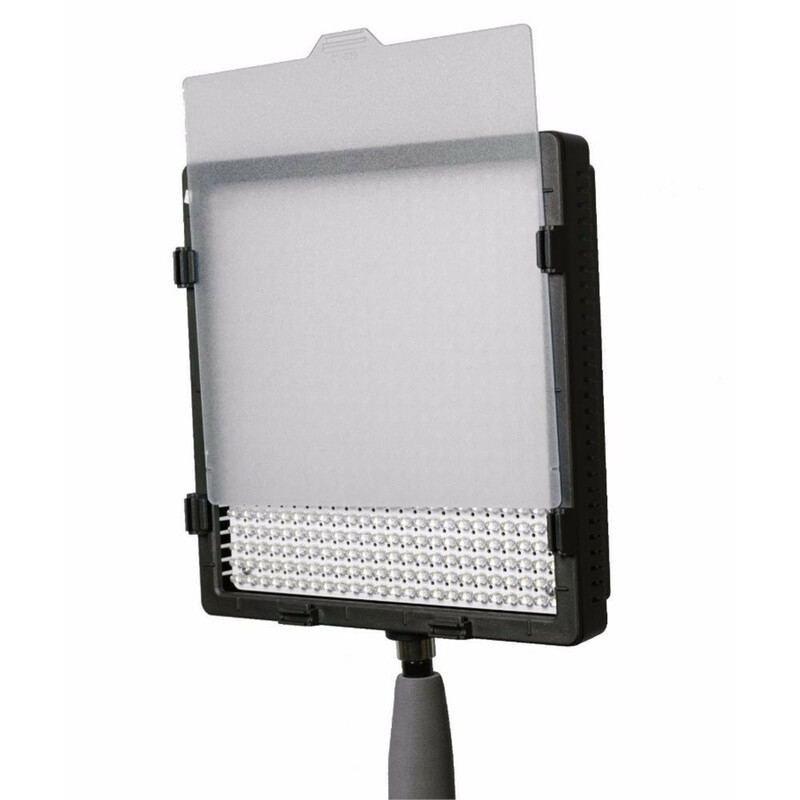 Spark Lighting 2-Point LED Bi-Colour Lighting Kit. This kit includes 2 x 2424B Bi-Colour LED Lights, Soft Bag, 2 x large NP-F L-Series Batteries, 2 x Battery Chargers and 2 x Compact Stands. 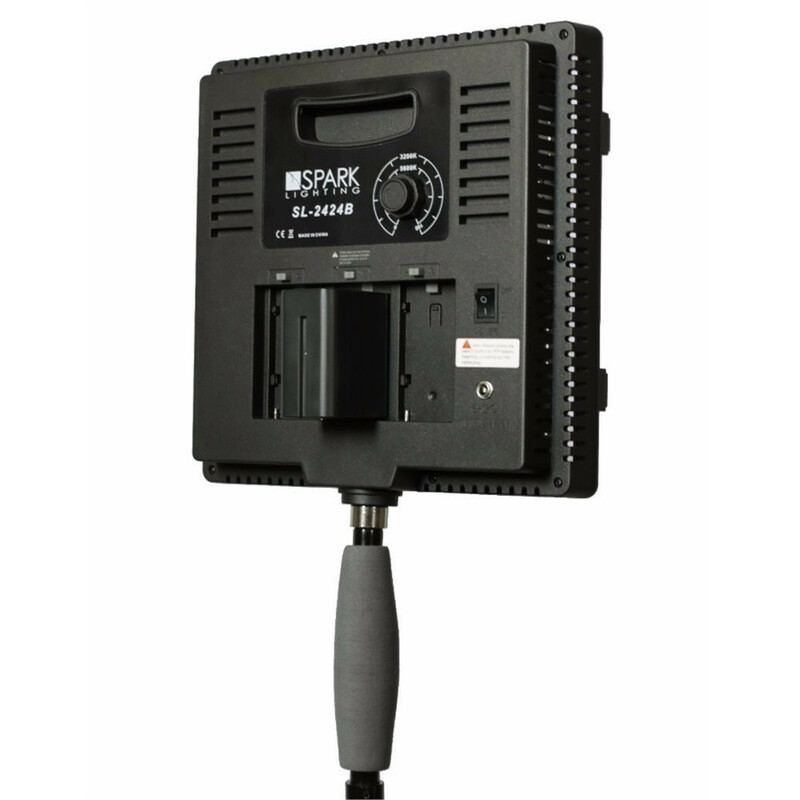 The Spark Lighting SL-2424B is a versatile LED panel that fits the demanding specifications of today’s camera operators. Colour tuneable between Daylight and Tungsten, with a consistent CRI (Colour Rendering Index*) of between 90 and 95 across the range. The unique flexible handle allows you to quickly tilt the light into position. The SL-2424 offers output similar to most 1x1 panels on the market, but at a fraction of the price. 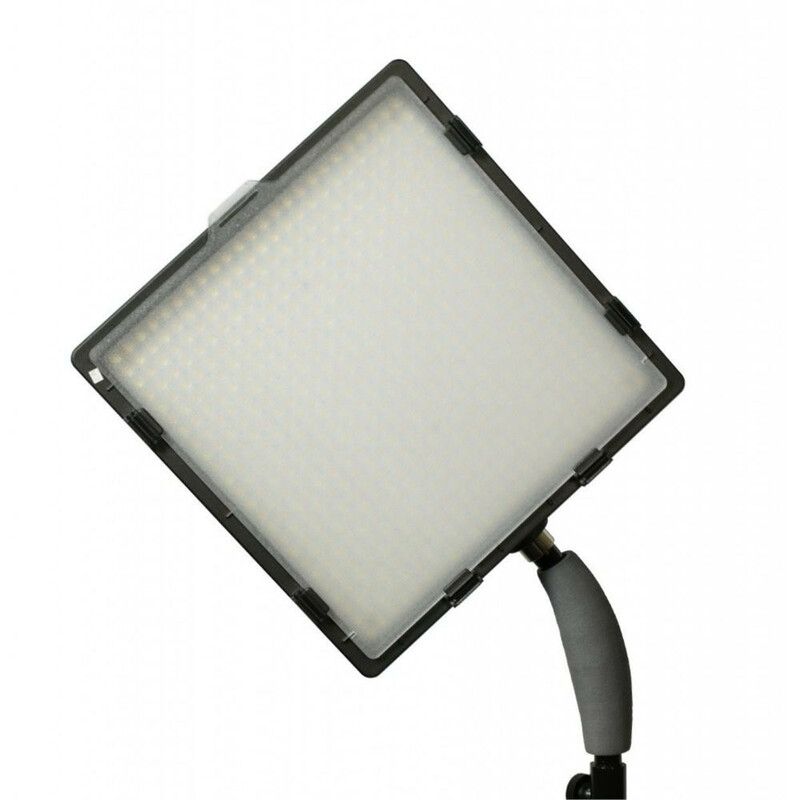 Ideal for use as a key or a fill light, with or without the diffusion. The supplied Blue Frost allows additional control of colour temperature down to 7500K for creative effects. The included Mains Power Supply locks onto the back of the fixture to avoid any strain on the cable. *Colour Rendering Index: The ability for a light source to reproduce the colour of an object faithfully. Low CRI fixtures will reproduce skin tones inaccurately on camera, and generally not show the full tonal range of fabrics. Modern CRI specifications use an average of 15 colour chips.